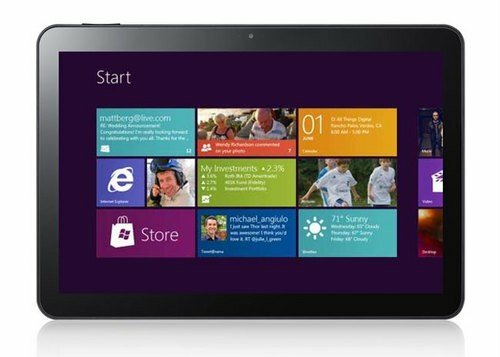 Last week, Microsoft introduced their two Surface Tablets, which are great rival to iPad. After that, the price of these two Surface tablets has became the focus of guess. Last night, an alleged messages from internal Microsoft revealed the price of the Microsoft Surface Tablets: equipped with the Tegra processor of Windows RT models will retail for $599, while the Intel Core processor, Windows 8 version priced at $999. The price of Windows RT version consistent with the Panos Panay, general manager of Microsoft Surface product had revealed last week, Panay has revealed that the price of Windows Surface for RT will be similar to the 32GB and 64GB versions of the market ARM tablet device, not difficult to speculate that $ 599 is very likely he mentioned the price of the 32GB version. Acer Iconia Tab A700 is presale now. It’s a new flagship Android 4.0 Ice Cream Sandwich tablet of Acer. This tablet has an NVIDIA Tegra 3 processor, 1GB of RAM, and 32GB of internal storage. The most attractive is its 10.1 inch, “Full HD” 1920-by-1200-pixel retina-like display, though it doesn’t quite match the pixel depth of the iPad, it nonetheless provides a significantly enhanced viewing experience over existing 1280-by-800-resolution tablets. No matter text, images or videos, you will get crisp, detailed visual effects. The Iconia Tab A700 is priced at $450. It’s a good choice for people who positively intent to purchase a High-Res tablet. For some users, Iconia Tab A700 is really a wonderful portable media player. With it, we can watch movies anywhere. However, when we stay at somewhere without wifi, we have to put movies on Iconia Tab A700 in advance. At the same time, if you have purchased many DVD discs, it’s a good idea to back up them on your Iconia Tab A700. As a Nikon D7000 user, you may also have this question. Nikon D7000 shoot videos in h.264 mov format. Except D7000, most Nikon D series camcorders record videos with this format, like Nikon D800, Nikon D4, Nikon D3100, Nikon D3200, Nikon D5100,etc. As far as i know, h.264 is the maximum compression ratio codec. On one hand, it will give us resonable video size, on the other hand, it’s not suitable for editing by most editing software. Final Cut Pro X also included. In order to give users perfect editing experience, Apple produced professional codec for their editing software. Such as Apple ProRes family for FCP X, FCP 6/7, Apple InterMediate Codec (AIC) for FCE/iMovie, and other codec for special camcorders. Based on h.264 codec’s feeble, you’d better transcode Nikon D7000 h.264 mov clips to ProRes before editing them on FCP X. How to do it? The below article will show you the best solution. 2012 UEFA European Football Championship is coming soon. If you are a football fan, you may be reluctant to miss any match lives. However, we don’t always have time to watch lives. In this case, Tivo can give us a great help. It could record TV recordings for us. At the same time, if you have a tablet, you may also want to transfer the wonderful euro 2012 termins to your tablet for playback anywherer anytime. But, it’s impossible to realize without any 3rd party tool. Because Tivo record videos in Tivo format, which is unusual and can’t be supported by almost all media players. Whether iPad or android tablet, doesn’t have the ability to read it. As a tablet user, you may find, h.264 mp4 is a good format for tablets using. Which give us pretty good video qulity with reasonable video size. So, if we convert Tivo files to h.264 mp4, we will be allowed to watch euro 2012 matches on tablets smoothly.